Bristol Rovers will be able to name an unchanged side for the visit of Colchester on Saturday. The Pirates resumed action for the first time in 2009 at Leyton Orient last weekend and suffered no new injury or suspension problems during their 2-1 victory. Long-term absentee Danny Coles remains the only first-team player unavailable for selection after the defender underwent another operation on the troublesome knee injury that has blighted him since mid-October. 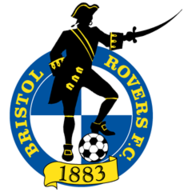 With only one fixture played in the past month, several first-team players featured for the reserves against rivals Bristol City this week in an attempt to keep them match sharp and provide Trollope with a welcome selection headache. However, injury-prone midfielder Richard Langley - who has yet to feature for the first team since joining Rovers in November - limped out of the reserve game with a knee problem and is set to be assessed by the club's medical staff on Friday. 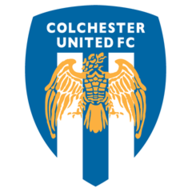 Meanwhile, Johnnie Jackson looks likely to be missing from the Colchester line-up. The midfielder suffered a chest injury when a Cheltenham player landed on him during last weekend's 3-1 win at the Community Stadium and is rated as doubtful. Jackson was filling in at left-back after Marc Tierney failed a late fitness check on a tight hamstring, but Tierney is now back in training and should reclaim his place. Centre-half Chris Coyne has also resumed training after three weeks on the sidelines with a knee injury and may be in contention. Full-back Matt Lockwood is fit after his tendonitis problem and could travel to one of his former clubs along with young striker Jamie Guy, who scored twice for the reserves in midweek.